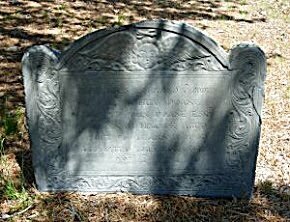 Family Tree Magazine is having a contest, just post your funny tombstone photos to enter. I haven’t been doing much blogging this week, but I have still been reading my favourites every morning and for this week’s follow Friday I would like to recommend you try out the Blogger “Next Blog” feature. The Blogger “Next Blog” is new and improved. In the past it selected blogs at random, from all over the world in several languages. with all kinds of topics. Now, the blog selected is in the same language and covering the same topic as the originating blog. If you start out on a genealogy blog, it will pick other genealogy blogs at random, it is kind of like a Blogger web ring! Michigan has a rich history that encompassed over four centuries of various cultures. In the early years it was under French rule and was included in New France. When the British took it from the French, it was part of British Canada and finally it became part of the United States. So, the earliest records are really Canadian records. Seeking Michigan is a free resource for researching French-Canadian or early Canadian ancestors, as well as mapping your ancestors’ migration patterns from Canada to the United States. It’s also good for researching Michigan records too. The creators of the Viviti web-building site are young Canadian entrepreneurs from British Columbia. I found out about Viviti when it just started, through Bravenet.They were promoting the site and asking for Beta testers. I started a few sites when in Beta, three months before they put up the total websites worldwide in Sept./08, and there were less than 1000 sites world-wide at that time. By Dec.1/08 when it went into Open Beta and was made public, there were over 5000 sites. It has been out of Beta since April when there were over 10,000 sites. I have seen all of the bugs being worked out and all of the new widgets and improvements that have been requested by the Beta testers. It has come a long way since it’s introduction. Viviti is an excellent blogging platform, with the ability to create categories for your posts so that you can blog about different topics on one site. It can be personalized with fully editable content boxes, several image boxes, including a Flickr gallery, widgets for social media like Twitter, Facebook Updates and You tube, audio player, Embeded Flash, but it is also great for businesses with business widgets like Paypal and Bookfresh Online Scheduling. and a status bar at the bottom that lets you do whatever needs to be done to create and maintain your website. I have my homepage, My Favourites Place, on Viviti as well as a family reunion site, and my business site, which I’m still working on. I started My Loyalist Heritage, a blog site after it was out of Beta, to see what features are available with a free site. My other sites are “Custom Free Sites” for Beta testers which is the equivalent of a $5.00 mo. site. You can do everything on a free site as the payed versions, there’s less storage and 15 page. maximum but there aren’t any limits on how many free sites you can have. For anyone wishing to have a more flexible blog, personal or business website, I recommend Viviti.com. Check it out, you’ll be amazed at what a few west-coast Canucks have come up with! Thomas MacEntee shares his innermost feelings about his mother in his touching post at Destination: Austin Family: To Touch Mom’s Face Again. Anyone who has watched a parent go from a vital, vibrant person to a helpless, hopeless invalid can relate to his anguish. Thomas asks if it was worth taking the time to go visit her when she doesn’t even recognize him, some people would say “no, she doesn’t even know you’re there”, but my feelings are that if you don’t make the trip and she is gone before you get to see her again, you’d regret not going, even if it’s just to touch her face again and let her know that she’s loved and she’s not alone. I would give anything to be able to just touch my mother’s face again. I have had my family tree on Tribal Pages for a couple of years and I would like to recommend this site as a great way to get your family tree online and make new connections. There hasn’t been much information about this site lately with all of the new genealogy sites popping up, it seems to have gotten lost in the shuffle, so I decided that it needs promoting. Build your Free Family Tree website online. Invite friends and family to view or update your site. Each private and secure website is loaded with Photos, Charts, Reports, Maps, Relationships, Events and Stories. Just add names of your relatives or import a GEDCOM file and instantly create your website. Your site can create custom newsletters for each member with birthday and anniversary reminders, recent site activity and send them out every two weeks.